Indra Nooyi has penned down a emotional parting letter to the PepsiCo employees days after stepping down as CEO. Indra Nooyi has penned down a emotional parting letter to the PepsiCo employees days after stepping down as CEO. 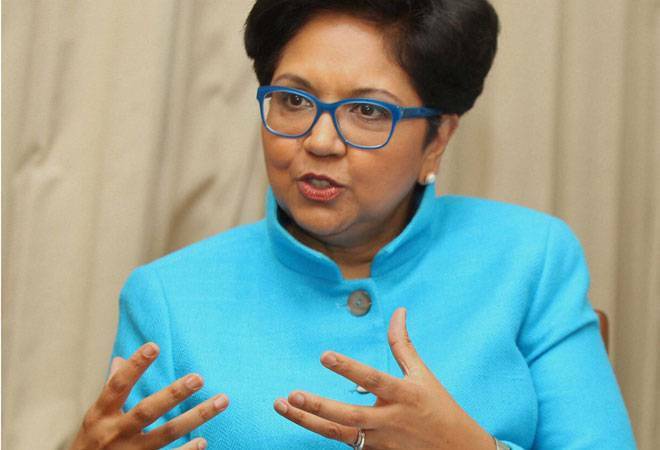 Nooyi was at the helm of the global beverage giant for 12 years. She will continue as Chairman until early 2019 to ensure a smooth and seamless transition. As I sat down to write this note-my last as CEO - I felt a surge of emotions. All of you-my PepsiCo family-have held a special place in my heart since the day I joined this company 24 years ago. In the weeks since my departure was announced, I've heard from so many of you in so many different parts of the world. And while I haven't had time to respond to all your messages, I've read each and every one, some with tears in my eyes. There are no words to describe how much they mean to me, how deeply I've been moved by the outpouring of love. So, while I will remain on as chairman until early next year, I've been in a reflective mood lately, and recently re-read my very first letter to you all, from the summer of 2006. "We face an ever-more-challenging business environment," I wrote. "And we need to get out in front of events and shape them, rather than to wait and be buffeted by them. This means we will have to be bolder and more creative than ever before." And over the last 12 years, that's exactly what we've done. That's exactly what you've done. You have helped make this company the icon it is today, and you have taught me so much through your ingenuity, commitment to excellence, and passion for serving your communities. So, while I know this is the moment I'm supposed to gently lay down the reins, I hope you will indulge me one last time as I share some reflections, some lessons, on what I've learned during my tenure-lessons that have guided me throughout my career, and that I hope may be of use to you in the years to come. First, whether you work in operations, sales, R&D, or any of our functions, always have a clear, compelling vision for what you want to accomplish. As it is written in the Book of Proverbs, "Where there is no vision, the people perish." And I've found that to be true for all of us, no matter our role in the company. Second, focus on the short-term and the long-term. Yes, you need to hit your short-term targets, but always try to do so in a way that's sustainable over the long haul, a way that balances the company's level - and duration - of returns, a way that generates a profit while also making a difference, always advancing the values of Performance with Purpose. Third, bring people along with you. No matter how smart your strategy, success or failure usually comes down to one thing: the team. In everything you do, find teammates who can help execute your vision and empower them to succeed. Fourth, be good listeners. When someone gives you feedback, assume positive intent. Assume they're genuinely trying to help. Think their words over, and be willing to challenge your assumptions. I promise, it will make you better associates and better people. Fifth, be lifelong students. Our world is changing rapidly all around us, and if you want to continue to thrive in the years ahead, you'll need to continually educate yourself. Visit our Lifelong Learning Library in Purchase, take a course at PepsiCo University, listen to podcasts or search Google-however you do it, make your ongoing education a priority. Finally, think hard about time. We have so little of it on this earth. Make the most of your days, and make space for the loved ones who matter most. Take it from me. I've been blessed with an amazing career, but if I'm being honest, there have been moments I wish I'd spent more time with my children and family. So, I encourage you: be mindful of your choices on the road ahead. Looking to the future, I have no doubt that PepsiCo's best days are still to come. Ramon is a great executive and one of the hardest-working, most humble people I know. A global leader who knows our business inside and out, he is exactly the right person to lead PepsiCo at this moment. And he is taking over a team that is one of the strongest, most tightly-knit in our industry or any industry. Serving as your CEO has been the honor of a lifetime. Now it's on to the next adventure-for us all. Thinking about my life beyond PepsiCo, I'm reminded of the words of the great Sufi mystic Rumi. "Goodbyes are only for those who love with their eyes," Rumi teaches. "Because for those who love with heart and soul, there is no such thing as separation." To all my colleagues, friends, and family, thank you for making the last 24 years special beyond words. Though I will no longer be in the office every day, I take comfort knowing that we will never truly be apart, because I have loved this company, and each of you, with all my heart and soul. And I always will.